My reading at CNAS, which had once been frequent, declined with the waning of the Abu Muqawama blog. While formerly I usually scanned through CNAS reports on a regular basis after reading what Exum and his commenters had to say, toward the end I only visited when Adam and Dan had new posts up. At the gentle nudging of Frank Hoffman, I decided to read the latest CNAS product; I’m pleased to say with the release of ” 20YY:Preparing for War in the Robotic Age“ by Robert Work ( CNAS CEO and former Undersecretary of the Navy) and Shawn Brimley (CNAS Executive V.P. and former NSC Strategic Planning Director) CNAS has rolled out an intellectually provocative analysis on an important emerging aspect of modern warfare. A readable summary of the technological evolution of modern warfare in the past half century while distinguishing between military revolutions, military-technical revolution and the the 80’s-90’s American “revolution in military affairs“. A more specific drill-down on the history of guided munitions and their game-changing importance on the relationship between offense and defense that flourished after the Gulf War. Positing the near-future global proliferation of unmanned, autonomous, networked and swarmed robotic systems replacing( and leveraged by diminishing numbers of) expensive manpower and piloted platforms on the battlefield and altering the age-old relationship between a nation’s population base and the traditional calculation of its potential military power. An argument that “warfare in the robotic age” will mean substantial to fundamental shifts in strategic calculation of deterrence, coercion, the use of force, operational doctrines and the evolution of military technology and that the United States must prepare for this eventuality. While the power of economics as a driver of unmanned, autonomous weapons is present, the implications are vastly understated. Every nation will face strategic investment choices between opting for simple and cheaper robotic platforms in mass and “pricing out” potential rivals by opting for “class” – fewer but more powerful, sophisticated and versatile robotic systems. The scale of robot swarms are limited primarily by computing power and cost of manufactureand could be composed of robots from the size of a fly to that of a zeppelin. As John Robb has noted, this could mean billions of drones. The US defense acquisition system and the armed services are ill-suited for fast and inexpensive introduction of robotic warfare technology – particularly if they threaten to displace profitable legacy platforms – as was demonstrated by the CIA rather than the USAF taking the lead on building a drone fleet. Once foreign states reach parity, they may soon exceed us technologically in this area. A future presidential candidate may someday warn of a growing ” robot gap” with China. The use of robotic systems to indiscriminately and autonomously kill is virtually inevitable much like terrorism is inevitable. As with WMD, the weaker the enemy, the less moral scruple they are likely to have in employing lethal robotic technology. For that matter, the use of robotic systems by an authoritarian state against its own citizens to suppress insurgency, peaceful protest or engage in genocide against minority groups is also highly probable. Is there much doubt how the Kim Family regime in north Korea or Assad in Syria would make use of an army of “killer robots” if they feel their hold on power was threatened? International Law is not currently configured for genuinely autonomous weapons with Ai operating systems. 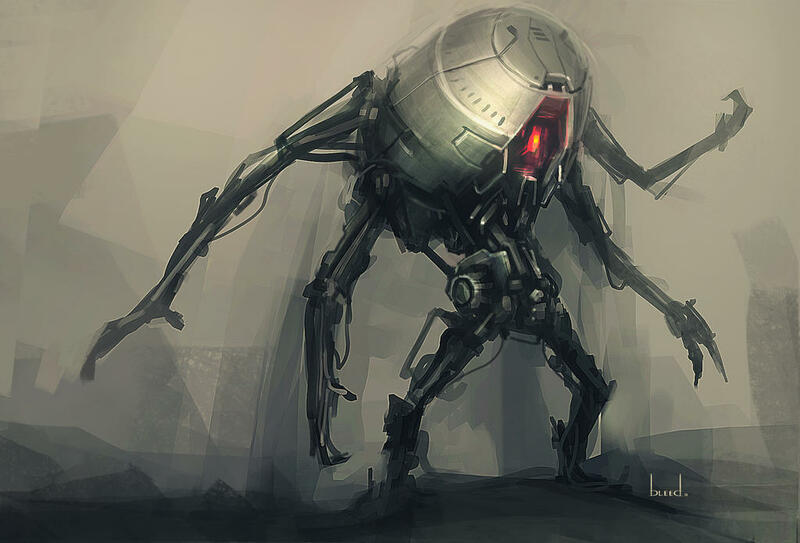 Most of the theorists and certainly the activists on the subject of “killer robots” are more interested in waging lawfare exclusively against American possession and use of such weapons than in stopping their proliferation to authoritarian regimes or contracting realistic covenants as to their use. All in all “20YY:Preparing for War in the Robotic Age provides much food for thought. The lift quote in the title is attributed to Winston Churchill, and in this period of uncertainty with sequestration and deep cuts in defense commanding the attention of military leadership, one thing is becoming crystal clear: we have no cogent or explainable military strategy. Sure, we have “concepts” like Air-Sea/Air-Land Battle, A2/AD, and Off-Shore Control, but our most recent unclassified Navy strategy document A Cooperative Strategy for 21st Century Seapower was written in 2007 may be a bit dated. From John Boyd’s Strategic Game of ?And? A mental tapestry of changing intentions for harmonizing and focusing our efforts as a basis for realizing some aim or purpose in an unfolding and often unforeseen world of many bewildering events and many contending interests. What is the aim or purpose of strategy? Politics is the division of strength. Strategy, its tool, squares drive, reach, and grip while striving for a certain division of strength. Drive falls between too weak and too strong. Reach falls between too short and too far. Grip falls between too loose and too tight. How strategy squares the three is open ended and ongoing. Outside friction, deliberate or not, always conspires with inside friction, intentional or not, to keep things interesting for strategy. Drive is the certainty you want. Reach is the certainty you try. Grip is the certainty you get. Grip can be a little sway over certain minds. It can be big hurt carved in flesh and thing. Amid uncertainty, strategy strives for certain grip. The varying gulf between certain want, uncertain try, and not certain getting is the father of strategy. There is no need for a complicated terminology. However, to say that the basic principles of war are easy to understand is not to say that it is easy to comprehend the finer points, or what is more important, to determine upon a wise plan of strategy and then carry it out. The great commander must of course have a profound insight into all the ramifications of strategic principle, but that is only the first requirement of military leadership. He must thoroughly understand tactics, which with modern arms is bound to be exceedingly complex and require long training and experience. He must know how to solve problems of supply or “logistics,” he must know human nature, and he must have certain qualities of character and personality which transcend mere knowledge. He must be able to stick to his course despite a thousand distractions and yet be sufficiently elastic to recognize when a change in circumstances demands a change in plan. He must above all be able to make adjustments to the inevitable shocks and surprises of war. As we build our strategies and plans, these decidedly old-fashioned and many cases very simple guides can help us get it right. Calls for a formalized strategic planning process and grand strategy have been mounting for years. However, those sounding these calls erroneously remember a past that rarely if ever existed and overestimate the importance of a formalized process and a final product. Most disconcertingly, they assume that government is necessarily the only supplier of grand strategy, while ignoring that those in government are not incentivized to actually produce it. In fact, the proliferation of communications technology, which provides the means for accessing a wealth of open source intelligence and for disseminating ideas, and the plethora of academics, analysts, and other intellectuals outside of official government communities provide a more effective, democratic, and transparent substitute to the (oftentimes imagined) Project Solariums of the past. The environment in which these intellectuals operate nurtures “real devils,” who vigorously propose policy and strategy alternatives in which they truly believe and have a stake in seeing implemented, resulting in a de facto strategic planning process, whose merits far exceed those of a de jure one. I think the call for a formal process, or at least an institutionalized forum for “doing grand strategy”, derives from both the lack of incentives correctly noted by Barrett and the frequently piss-poor and astrategic performance of American statesmen after the Soviet collapse. That the resulting criticism, proposals, counter-proposals, debates and domestic politics in drag relating to grand strategy are an alternative, open-source and more effective mechanism than formal planning is an intriguing idea. Certainly, if a statesman or senior policy adviser have not done hard thinking about geopolitics and grand strategy while in the political wilderness then they won’t do it at all. Once in office, there simply is no time even if the inclination is present. Richard Nixon, who thought very seriously on these matters, as POTUS was militant about having Haldeman carve out undisturbed time for him to continue doing so in a secret “hideaway” office in the EOB. This was highly unusual and difficult even for Nixon to maintain – most presidents and senior officials faced with 18 hour days, 6-7 days a week, simply want to unwind in their off hours, see their loved ones or sleep. While Barrett is correct that in discerning grand strategy in historical eras it is often reified and exaggerated retrospectively -that is because grand strategy, much like strategy itself, has a deeply iterative character. In facing the Soviet challenge, Project Solarium both responded to and built upon a solid foundation laid by the post-war “wise men“ – NSC-68, Containment policy, the Marshall Plan, the National Security Act, the creation of the CIA , NSC, NATO, the Department of Defense, the Truman Doctrine, the X Article, the Long Telegram, Bretton Woods and stretching back to WWII, the geopolitical vision of The Atlantic Charter, Potsdam and FDR’s Four Freedoms. Project Solarium was not ex nihilo but an effort to improve, shape, refine and surpass what the Eisenhower administration had inherited from it’s Democratic predecessors. Barrett is also on target when he identifies a strong ideological-political predisposition in formulation of grand strategy. Eisenhower had not only operational/experential preferences but a worldview that he brought with him into the White House and his Secretary of State, John Foster Dulles, had even stronger convictions that, especially in regard to his fierce and almost Calvinistic anti-communism, sometimes render him a caricature today. We have to be careful though in parsing public statements and private assessments. Dulles, despite his hardline reputation, was a sophisticated and highly influential figure in American foreign policy as the senior GOP adviser through most of the 1940’s. Despite talk of “rollback”, neither Dulles nor Eisenhower had any appetite for leaping into Hungary militarily to support the anti-Soviet revolt or supporting the Franco-British-Israeli debacle in the Suez. Still less attractive was the prospect of military intervention in faraway Laos. Grand strategic ideas were applied with realism and prudence by the Eisenhower administration. Arguably, the period of Ming-Q’ing decline may have been superior in the sense that the Confucian classics and the exams upon which they were based that were the gateway to the mandarinate were at least, an objective and respected yardstick, however ossified and ritualized. All we have by contrast are partisan politics, bureaucratic culture and the increasingly oligarchic client-patron networks within the Beltway and Manhattan.. Sort of. There are two other ways to look at this picture. First, that we have an insufficient consensus bordering on ideological schism within the elite as to what America is and is supposed to become that executing foreign policy, much less enunciating a grand strategy, cannot get beyond the lowest common denominators between left and right and bureaucratic autopilot. This in turn causes the cacophony of voices on grand strategy. I partially subscribe to this view. Secondly, that our elite, whatever their divisions over political passions or personalities have a consensus grand strategy ( or at least, an ethos) for generational and class aggrandizement at the expense of the rest of us and American national interest in a way that the former 20th century governing class called the Eastern Establishment would have neither imagined nor tolerated. The resulting ferment of “bottom-up” grand strategy is a result of increasing divergence of interests between rulers and the ruled and an erosion of the former’s legitimacy as a result of their self-aggrandizing game-rigging , abandonment of the ethic of leadership as stewardship for “ubi est mea” and a deficit of competence that contrasts with their enormously inflated collective sense of self-importance. I partially subscribe to this one as well. 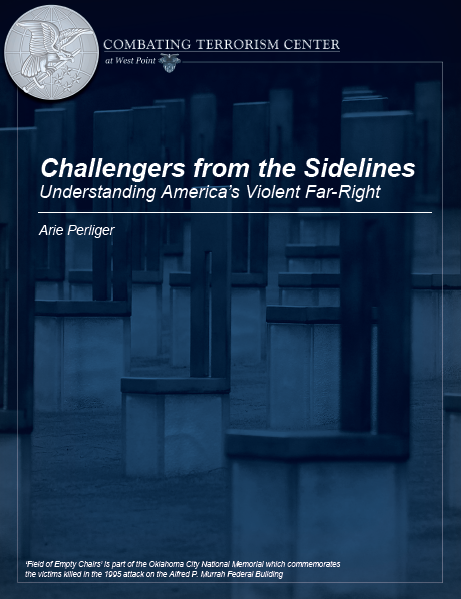 First, in this foray into domestic terrorism analysis, the center chose to concentrate only on the threat of violence of the Far Right while ignoring other threats coming from the Far Left, infiltration by criminal insurgent networks from Mexico, notably the ultraviolent Zetas whose reach has stirred gang violence in Chicago and Islamist terrorism, either homegrown “lone wolves” or from foreign infiltration or subversion. In itself, this is understandable if the CTC plans a series of reports with a separate focus on different domestic threats; but without that context, it is a myopic analytic perspective, particularly given the demonstrated capabilities of various AQ affiliates or just south of the border, the criminal–insurgency of the narco-cartels. Had all of these been addressed in one omnibus report, any complaints from conservatives were likely to have been muted or nonexistent. This is not to say that the radical American Far Right does not have a violent threat potential of it’s own worth studying; it does and it is real. But available evidence indicates it to be the least organized, least operationally active and least professionally competent in terms of terrorist “tradecraft” of the three. This is taxonomic incoherence, or at least could have used some bright-line specifics ( like “Posse Commitatus” qualifying what was meant by “anti-taxation” activists) though in some cases, such as “libertarian ideas” and “civil activism”, I’m at a loss to know who or what violent actors they were implying, despite being fairly well informed on such matters. By the standard used in the first paragraph, Glenn Greenwald, Ralph Nader and the ACLU would also be considered “far right antifederalists”. By the standards of the second, we might be in physical danger from Grover Norquist, Congressman John Dingell and Penn Jillette. No one who opposed the recent increases in income tax rates, dislikes gun-control or thought the DOJ may have abused it’s power in the prosecution of Aaron Swartz or in their stubborn refusal to prosecute Bankster racketeering is likely to welcome a report under the auspices of West Point that juxtaposes such normal and perfectly valid American political beliefs with neo-Nazism. A move that is simply going to – and quite frankly, did – gratuitously irritate a large number of people, including many in the defense and national security communities who are a natural “customer base” for CTC reports. As I said previously, this could easily have been completely avoided with more careful use of language, given that 99% the report has nothing to do with mainstream politics and is concerned with actors and orgs with often extensive track records of violence. As the CTC, despite it’s independence, is associated so strongly with an official U.S. Army institution, it needs to go the extra mile in explaining it’s analysis when examining domestic terrorism subjects that are or, appear to be, connected to perfectly legitimate participation in the political process. This is the case whether the subject is on the Left or Right – few activists on the Left, for example, have forgotten the days of COINTELPRO and are currently aggrieved by the activities of Project Vigilant. I might make a few other criticisms of the report, such as the need for a better informed historical perspective, but that is hardly what the recent uproar was about. Friend of the blog, commenter L.C. Rees, likes to point out that one of the most important part of a grand strategy, particularly one that is maintained despite evidence of being a geopolitical failure, are the domestic political effects that work to the advantage of the faction supporting it. In my view, grand strategy usually has a political or cultural evolutionary component and, human nature being unchanging, Rees’s cynical observation has merit. Last year, a couple of JCS aides/field grade officers wrote a grossly overpraised paper that was pushed by Anne-Marie Slaughter, Thomas Friedman and assorted worthies, that purported to be about a new grand strategy with which America could navigate the world. Mostly it centered on a preference for an America being run by a vaguely EU-like, technocratic, regime under the rubric of “sustainment”, in which the authors wisely folded in a number of shibboleths popular with the corporate-liberal upper class who write large donation checks to think tanks or make their living in public policy and academia. ….Walkable communities: The first pool of demand is homegrown. American tastes have changed from the splendid isolation of the suburbs to what advocates are calling the “five-minute lifestyle” — work, school, transit, doctors, dining, playgrounds, entertainment all within a five-minute walk of the front door. From 2014 to 2029, baby boomers and their children, the millennial generation, will converge in the housing marketplace — seeking smaller homes in walkable, service-rich, transit-oriented communities. Already, 56 percent of Americans seek this lifestyle in their next housing purchase. That’s roughly three times the demand for such housing after World War II. If only Bismarck had included some “walkable communities” for Prussia, Europe might have avoided the tragedy of World War I. ….Whenever possible, the Clintons expressed empathy with suburban and small-town voters. In contrast, the Obama administration seems almost willfully city-centric. Few top appointees have come from either red states or suburbs; the top echelons of the administration draw almost completely on big city urbanites—most notably from Chicago, New York, Los Angeles, and San Francisco. They sometimes don’t even seem to understand why people move to suburbs. Not surprisingly, belief in “smart growth,” a policy that seeks to force densification of communities and returning people to core cities, animates many top administration officials. This includes both HUD Secretary Shaun Donovan and Undersecretary Ron Sims, Transportation undersecretary for policy Roy Kienitz, and the EPA’s John Frece. Transportation Secretary Ray LaHood revealed the new ideology when he famously declared the administration’s intention to “coerce” Americans out of their cars and into transit. In Congress, the president’s allies, including Minnesota Congressman James Oberstar, have advocated shifting a larger chunk of gas tax funds collected from drivers to rail and other transit. In addition, the president’s stimulus—with its $8 billion allocation for high-speed rail and proposed giant increases in mass transit—offers little to anyone who lives outside a handful of large metropolitan cores. Economics writer Robert Samuelson, among others, has denounced the high-speed rail idea as “a boondoggle” not well-suited to a huge, multi-centered country like the United States. Green job schemes also seem more suited to boost employment for university researchers and inner-city residents than middle-income suburbanites. Suburbanites may not yet be conscious of the anti-suburban stance of the Obama team, but perhaps they can read the body language. Administration officials have also started handing out $300 million stimulus-funded grants to cities that follow “smart growth principles.” Grants for cities to adopt “sustainability” oriented development will reward those communities with the proper planning orientation. There is precious little that will benefit suburbanites, such as improved roads or investment in other basic infrastructure. Kotkin nails it. Mr. Doherty is simply trying to find some national security window dressing for an elite preference that ordinary people will be much easier to manage, monitor and fleece if they are concentrated in high-density urban housing and prevented from voting with their feet by a network of punitive, anti-development, anti-mobility, Federal regulations. The research paper, if you can call it that, justifying this authoritarian agenda can be found here. Judge for yourself. However, this is no idle pipe dream, it has been done before. The Japanese pursued a similar national “grand strategy” after WWII with the blessing of Washington to reconstruct defeated Japan: the old, independent, Japanese business empires called zaibatsu were transformed by SCAP into submissive keiretsu that would take “administrative guidance” from the Ministry of International Trade and Industry and the Ministry of Finance. In return, the keiretsu were heavily subsidized by the government, which kept Japanese “salarymen” to an artificially low “middle-class” standard of living with macroeconomic policies that forced the Japanese to have an extremely high level of savings. A docile work force penned into tiny apartments, governed by a de facto one-party autocracy of the Liberal Democratic Party that kept the rent-farming machinery in place for big business for fifty years. It isn’t a great model, it is not what Walter Lippmann would have called “a good society” but it did work. Mexico under the PRI dictatorship was a more backward version of this paradigm, as was Chicago under Mayor Daley. …..Every continental-scale economic region must embark on a decisive sustainability strategy without delay. Working within existing norms of the World Trade Organization and the United Nations, America will lead the partnership of major economies to refashion the global economic system around eight or nine economic blocs, each boasting the scale necessary to support mature industrial ecosystems. This will mean promoting and strengthening regional economic blocs such as the Association of Southeast Asian Nations, the Union of South American Nations, the African Union, the Commonwealth of Independent States, and the Organization of Islamic Cooperation. This part is literally nonsensical. Say what you want about Osama bin Laden’s powers of rhetoric: he may have failed to convince his fellow Muslims to unite the ummah into a Caliphate but he evidently convinced a lot of people at The New America Foundation that Islam is an economy. And as aside, why the hell is pushing political unification of South America or Africa under top-heavy, transnational bureaucracies in American interest? It sure isn’t in the interest of poor Africans or campesinos. For that matter, how can Africa unify if a third of their states will be in the OIC? WTF? Does Foreign Policy use editors or is it just a blog? However, all that was simply geopolitical fantasizing over matters about which the United States has little control and would be unlikely to come off even under the best of circumstances. The next part I suspect is intended much more seriously. It certainly reflects a worldview that is pernicious and apparently more widespread among our elite than we realized, for which they are now testing the waters, to see if their fellow citizens are the herd they imagine us to be and if they can get away with it. ….Just as America would never fight a 21st-century war with Korean War-era weapons, it should not govern today with institutions devised for a bygone era. The Founding Fathers established a constitution that allows for the adaptation of the institutions of government to the knowledge, threats, and opportunities confronting each generation. Americans should make use of that foresight. Under this strategy, the country will adapt the institutions of its federal government to execute this grand strategy and invest in the American people to ensure that they receive the opportunities they need to be informed and engaged citizens. This is a tentative call, in milquetoast, coded, language, to find legal stratagems to gut the Bill of Rights and euthanize American democracy, or at least render it comatose, as a mere facade for a new paternalist technocracy that treats citizens as wards or children while we are rent-farmed for the benefit of a small elite. Certainly when we are all marooned in our government-regulated, high-density, housing, disarmed and without private transportation or much disposable income it will be too late for us to raise our voices in protest. Doherty is correct about one aspect, such a society is probably “sustainable”; feudalism after all lasted more than a thousand years. In plain English, the strategy of “sustainment” is a long term policy for postmodern serfdom with most of us intended to be walking behind the oxen when we are not wearing the yoke ourselves. Despite the nervous, thin-lipped, smiles and hasty reassurances, these people truly wish us and our children ill. The good news is that none of this can come to pass without our consent. The U.S. Constitution is both sword and shield, if you are willing to pick it up. Speak, write, organize, litigate and vote out of office would-be authoritarians no matter what party label they wear. The best antidote for our creeping oligarchy is electing and appointing to office a large number of people outside of this exceedingly insular, geographically and intellectually narrow, social circle of graduates of a handful of universities and last few percentage points of socioeconomic status who have in the last 15 years grabbed control of our government. Really, we’re Americans – our talent pool is 315 million strong. We can easily do better.